This classic Indiana scene can be found at the Enochsburg Covered Bridge over Salt Creek. Built in 1887 this historic landmark is no longer open to vehicular traffic. Overlooking Brown County in Indiana, this view shows off the spectacle of fall in the area. 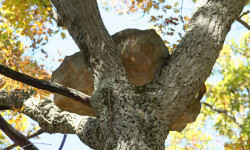 Trees will change color anywhere from late August through late October. There 12 miles of hiking trails in Brown County State Park. The roadless southwest and eastern corners of the park can be visited by foot or horseback only. Stroll along a hiking trail in Brown County State Park and you'll be enchanted with scenes like this. 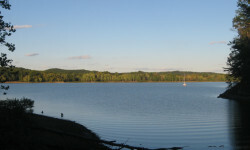 Lake Lemon is a reservoir bordered by Brown County. It's the 11th largest lake in Indiana and is a destination for boaters and anglers. 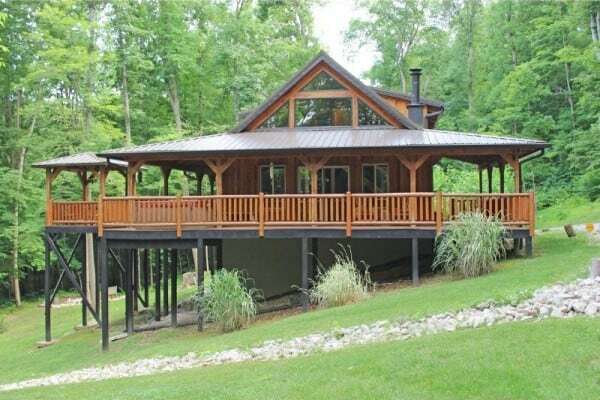 Showing 11 of 11 cabins. 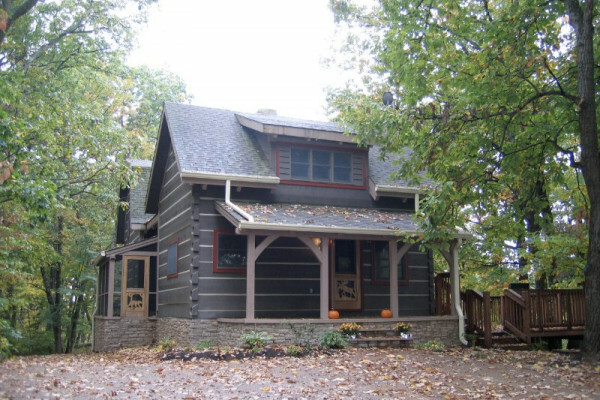 Nashville, Indiana and the Brown County area is a quaint midwestern destination for art enthusiasts, outdoor pursuits, and just getting away from it all. 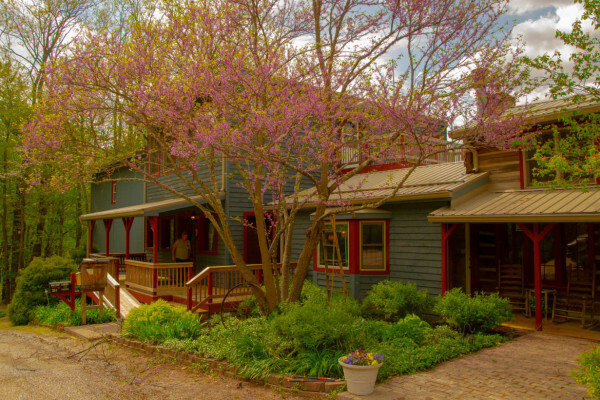 It is known as the hub of the Brown County Art Colony, with attractions like the T.C. 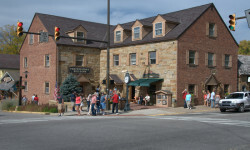 Steele State Historic Site, Brown County Art Gallery, and many boutiques and antique shops. Get outdoors in Brown County State park, either on great hiking trails through forested groves, by mountain biking the park's epic 28 miles of singletrack, on a guided horseback ride, or by swimming in Strahl or Ogle Lakes. Go boating or fishing along Lake Monroe, discover hiking trails and campgrounds in Yellowwood State Forest, or go canoeing down Salt Creek. But it doesn't stop there. Adventure enthusiasts can enjoy zipline excursions, paintball, and the local Salt Creek Golf Course. And for a nice day trip, check out the Bill Monroe Bluegrass Music Hall of Fame in Bean Blossom. 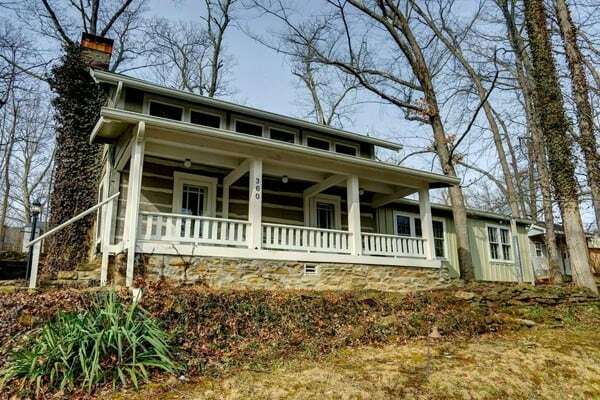 Located in southern Indiana, Nashville is a small town and the county seat for Brown County. 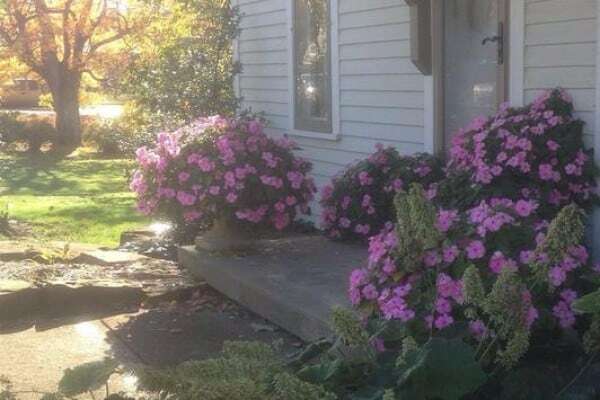 It is just a short drive from large cities like Indianapolis, Louisville and Cincinnati, making it easily accessible by car. This is a year-round destination with hot and humid summers and mild and cool winters. 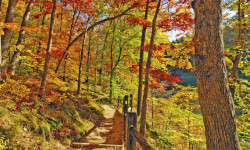 The peak season is in early fall, from September through October, when visitors flock to the area to catch a glimpse of the beautiful fall foliage. 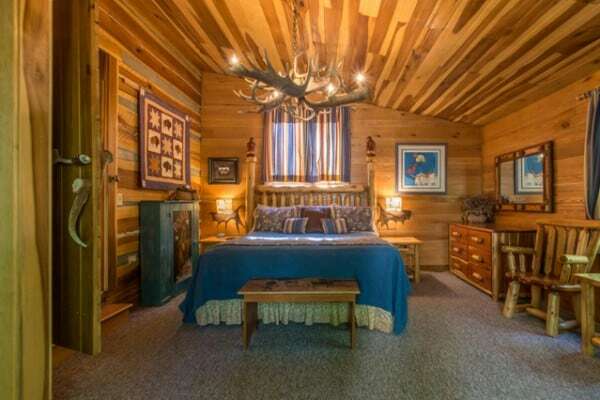 Specialty shops, unique restaurants, and small entertainment venues line the streets of downtown Nashville and one-of-a-kind lodging properties, like inns, cabins, cottages, and bed and breakfasts, are readily available. 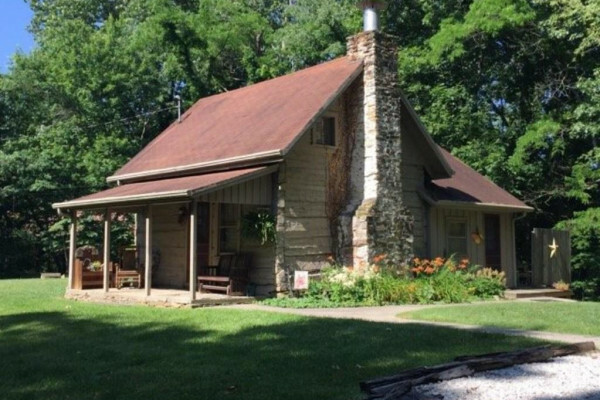 Brown County State Park: Indiana's most visited state park is located just south of Nashville. 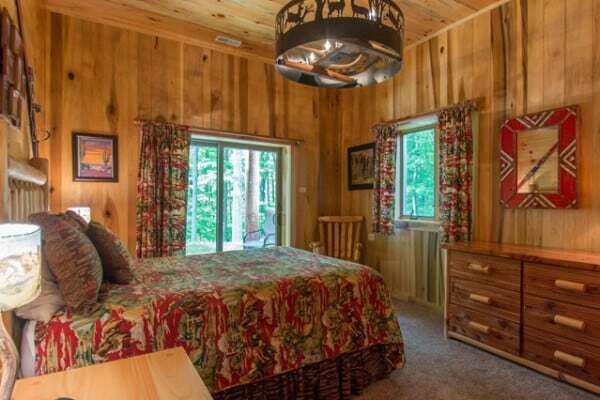 Enjoy hiking trails, singletrack mountain biking, horseback riding, fishing, camping, and a climb up the fire tower. Lake Monroe: The largest inland lake in Indiana, Lake Monroe spans 10,750 acres and features boating, fishing, water-skiing, swimming, camping, and nature centers. 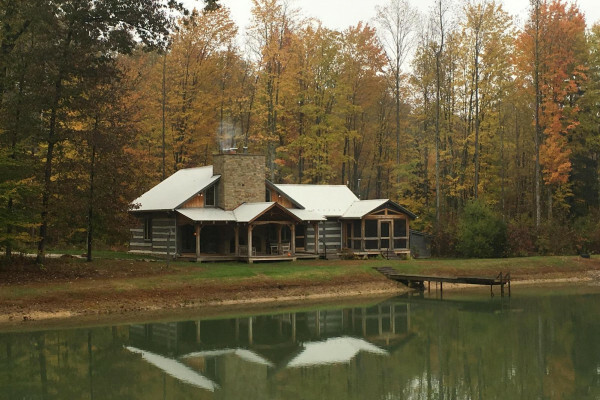 Yellowwood State Forest: Yellowwood State Forest encompasses a handful of hiking trails, fishing opportunities at Yellowwood Lake, and primitive campsites. 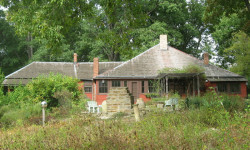 TC Steele State Historic Site: Featuring tours of the home, studio, and impeccable gardens of early Hoosier artist T.C. Steele. 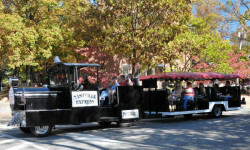 Nashville Express: Offering a 25 minute sightseeing tour through town, this open air trolley is a great activity when you first arrive in Nashville. 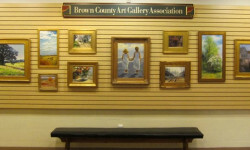 Brown County Art Gallery: This historic gallery is a must see for any art enthusiast. Featuring rotating exhibits as well as permanent collections, you'll quickly see why the area has become so well known in the art community. Bean Blossom Covered Bridge: The most photographed covered bridge in Indiana is just 4 miles north of Nashville at Bean Blossom Creek. Walking Tour of Historic Nashville: Meander through downtown Nashville to discover a number of historic sites along the town's walking tour. Don't miss the Pioneer Village and its Old Log Jail.